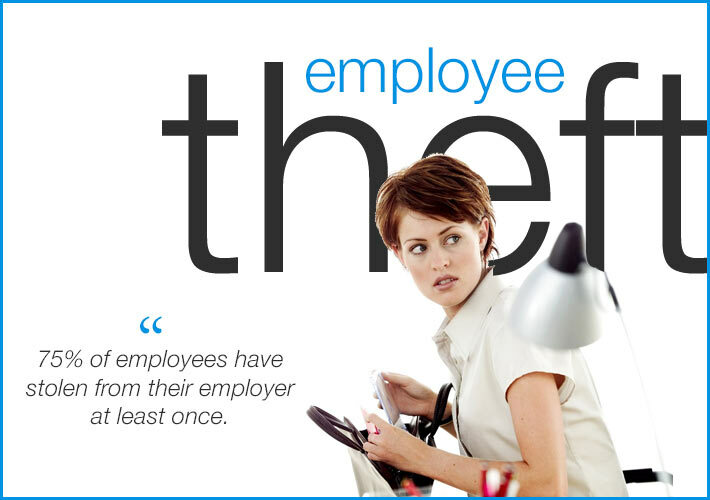 There is a frustrating attitude to employees who think nothing of stealing from their employer, whether it is cash or stock. The common attitude is “they can afford it”. Maybe today they can, but what about tomorrow? One of the problems with continual pilfering and petty theft is that it undermines the profitability of the business and this can reach the point where, to be profitable business has to raise its prices. Already you should be beginning to see the picture. In having to raise prices to make a profit, a business can become less competitive and then you get caught in a desperate Catch 22 situation. If you don’t raise prices your profits are going to be too low, but if you raise prices too high you are going to lose potential customers. In today’s ultra-competitive marketplace, virtually everything is critically price sensitive, to the point where even a difference of one or two pence on the price of an item can mean the difference between a sale for you or a sale for one of your competitors. Many staff fail to see the long-term effect of their actions and, as a consequence, do not realise that in stealing from their employer they are jeopardising their chances of long-term employment, not because they will get the sack if caught stealing, but because the business they work for will have to cease trading. Not only are they risking their own job when they steal from their employer, they are jeopardising the job of all their co-workers to. Here at Enigma Security (Europe) Ltd we understand the situation perfectly and acknowledge how important it is not only to identify who may be stealing stock or money from your business, but areas of vulnerability. Sometimes prevention genuinely is better than cure. To find out more about our comprehensive array of commercial security measures, please get in touch with us here in Bristol.